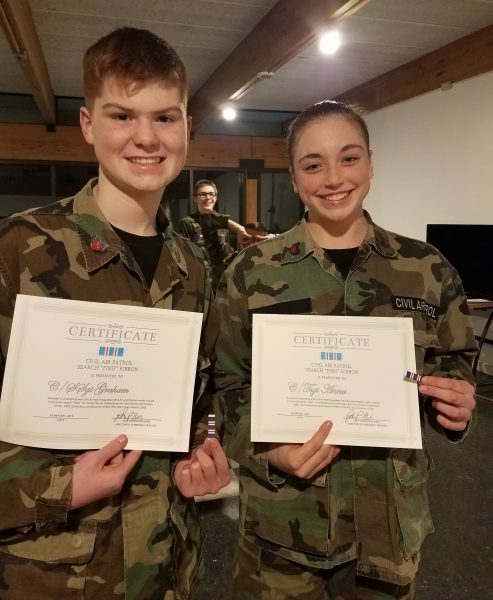 Congratulations to the two cadets who earned a FIND ribbon this weekend. In spite of the cold weather (-10F when we left Lebanon), the cadets volunteered for the weekend’s Search and Rescue Exercise. During that exercise, we received a real mission from the AFRCC – an active 121.5 ELT. An air sortie narrowed it down to the Lawrence MA airport. A ground team, including the two cadets, used the portable DF to locate and deactivate the ELT on the ramp at.